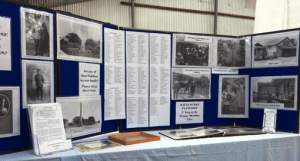 Once again we attended the Noorat Show in November with a photographic display. 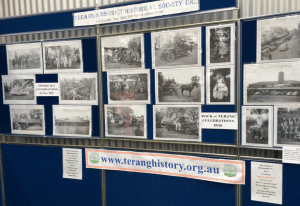 This featured photos from two albums we have at our Museum – one of an Empire Day Parade in 1914 and the other of the 1939 Back to Terang Parade. Our books were also on sale on the day. It was great to see such interest in our display and to have former residents reminisce about Terang. We will be there again next November!